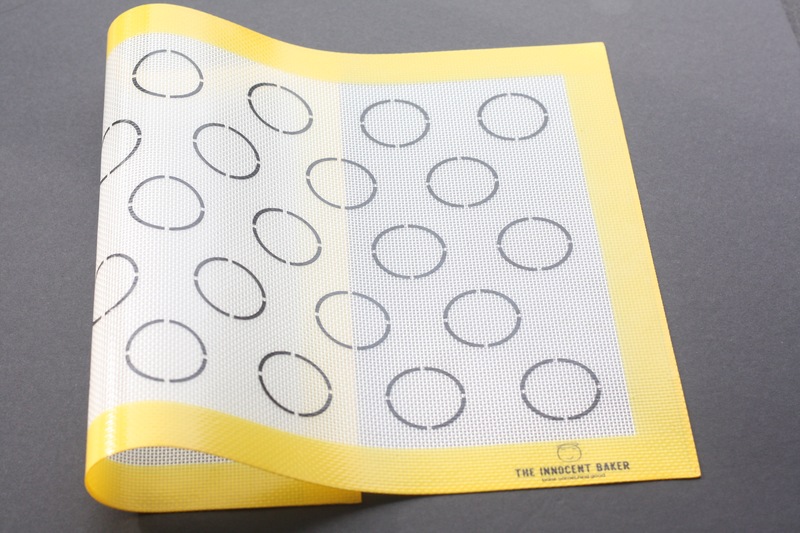 This TIB Silicone Macaron mat makes 28 macarons. It is constructed from reinforced food-grade silicone and the black outline makes it easy to correctly space and size your macarons (two sizes). It is sized to fit a half-sheet pan and distributes heat evenly to prevent sticky or burnt bases. 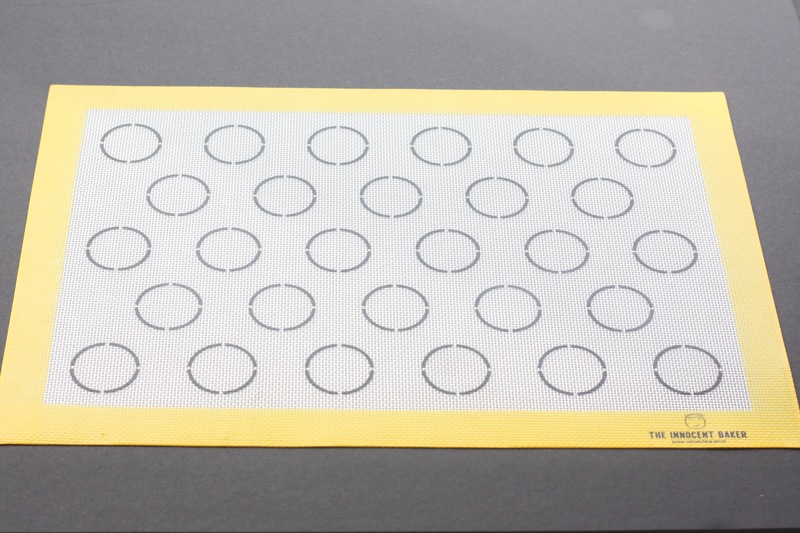 Mat can be placed directly on a sheet pan to eliminate the need for pre-greasing or parchment paper.